﻿ Real Madrid 3-0 Alavés. Business as usual! 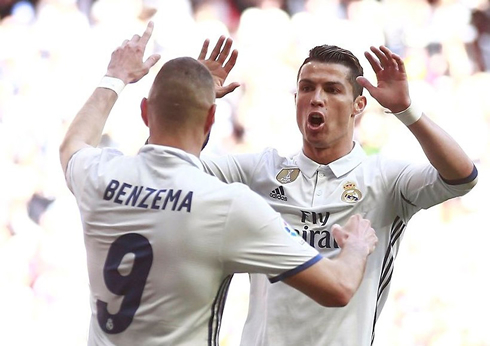 02.04.2017 » Real Madrid 3-0 Alavés. Business as usual! 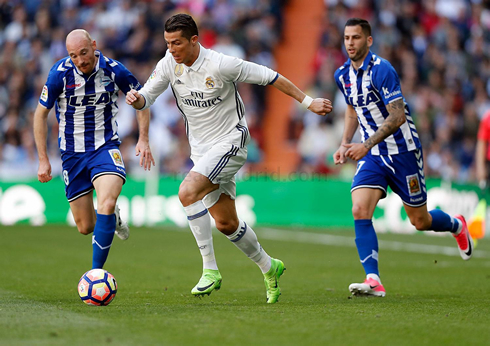 The 3 points were kept at the Bernabéu, as Real Madrid defeated Alavés 3-0 this Sunday afternoon. Benzema with the opener in the first half, would then see Isco and Nacho securing the win with a goal each late in the second half. Real Madrid did their job earlier today, beating Alavés 3-0 at the Santiago Bernabéu. Despite what the scoreline may suggest, it wasn't exactly a very comfortable match for the Merengues. The visitors created several good chances to put Zinedine Zidane's men on a bad spot, but fortunately for the hosts, they didn't finish them. And once again this season, Madrid pulled off a result that is far better than the performance they put on. Benzema broke the deadlock in the first half and was followed by Isco and Nacho who scored a goal inside the last 10 minutes of the game. The first game back from International play is often a tricky fixture. 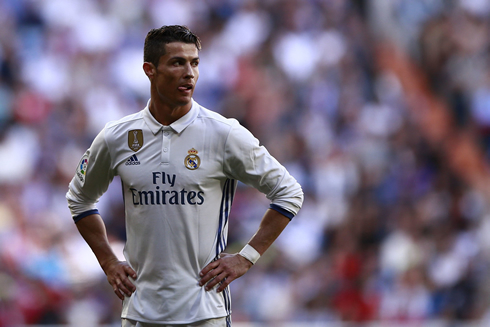 However, Real Madrid handled it well by defeating Alaves 3-0 at the Santiago Bernabéu, though the scoreline was a bit unfair to the visitors. There were a few changes with Casilla, Nacho, Pepe, Danilo and Isco all given starts today, as it seems Zinedine Zidane wants to keep the bigger fixtures this month in mind. Real Madrid will face Atletico Madrid, Bayern Munich (twice) and Barcelona in the upcoming weeks. 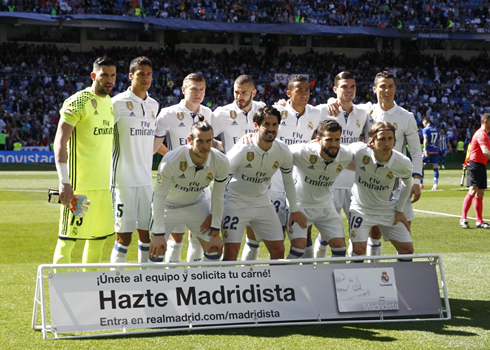 Still, Real Madrid started brightly even though Varane had to go off early after aggravating a hamstring injury. The first goal came courtesy of Karim Benzema, one of the few Real Madrid players not playing internationally at the moment. Capitalizing on a Carvajal cross, the Frenchman buried a left-footed volley into the corner of the net. Unfortunately, Real Madrid would become lethargic after that first goal, allowing Alavés space and time to operate. On a few occasions, Los Merengues were quite lucky to not concede, as Alavés were unable to finish in several occasions in front of Kiko Casilla's net. Isco, however, was brilliant on the day. His ability to retain possession in midfield was vital and later on he would be rewarded scoring a smashing goal past Dani Pacheco after a Ronaldo assist, the 6th of the season for the Portuguese man. The ever-dependable Nacho Fernandez would cap it all off with a headed goal after Gareth Bale's free-kick clattered off the underside of the bar. A well-deserved goal after another tidy performance from the cantera product. Three points, so that's all that matters in a month like this, which will likely decide the entire season. And while Madrid certainly began to switch off in the second half, they were still able to put it all beyond doubt at the end. Cristiano Ronaldo next game is a La Liga fixture, on April 5 of 2017 against Leganés. You can watch Juventus live stream, Leganés vs Real Madrid, Barcelona vs Sevilla, Manchester United vs Everton, Arsenal vs West Ham, and Liverpool vs Bournemouth, all matches provided from our stream soccer game pages.